After this opener the magician continued to excite my friend and I with various maths related magic tricks including magic wands, card reveals and disappearing balls. We were amazed and felt slightly bad that we’d tried to by-pass such a fantastic stand. I started to thinking if magic can grab myself and Kate’s attention when we’re tired and ready to leave maybe it will have the same positive effects on students who often feel the same disinterest in maths? Playing cards are a fantastic resource for teaching probability. You could ask your students questions relating to individual numbers, suits or even the entire deck, to vary the questions you could keep the jokers in or remove them from tha pack. There are 52 cards in a deck of playing cards pictures when the jokers have been removed. 1.If you shuffle the deck of cards, and choose one at random, what is the probability that you will choose the king of spades? 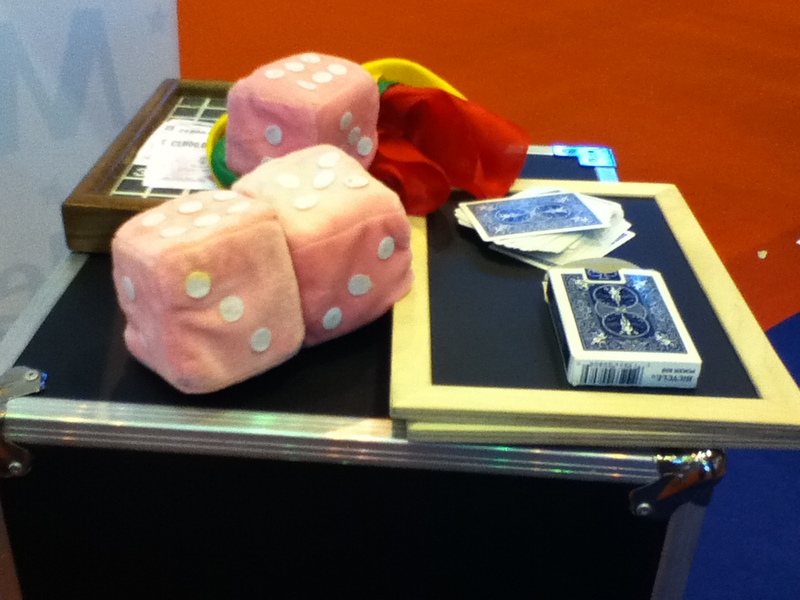 2.If you shuffle the deck of cards and choose one at random, what is the probability that you will choose a club? 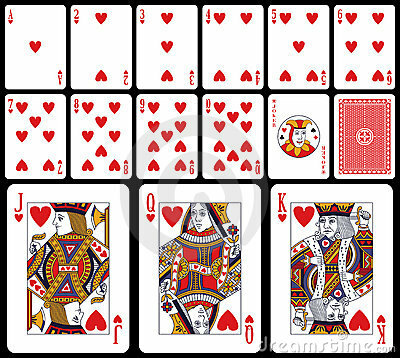 3.If you shuffle the deck of cards and choose one at random, what is the probability that you will choose a black card? This entry was posted in Resources and tagged Maths by Gemma H. Bookmark the permalink.